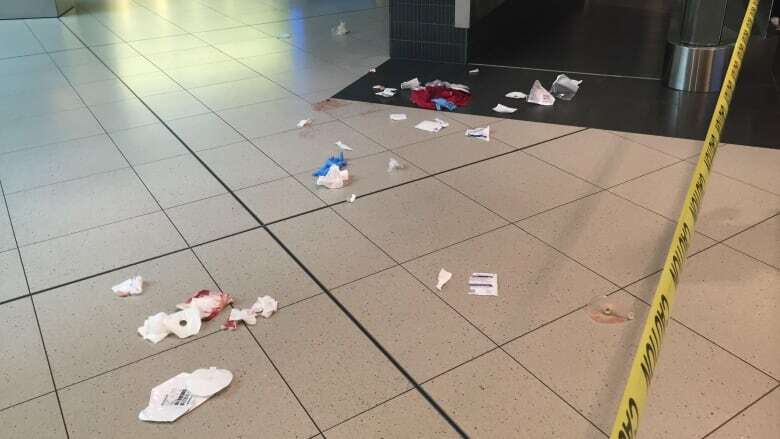 Toronto police have charged a man with several offences, including attempted murder, in connection with a stabbing inside the Eaton Centre on Tuesday that sent a man to hospital with life-threatening injuries. Officers were called to the shopping mall at 2:20 p.m. Tuesday following reports that someone had been stabbed inside the mall. A source close to the investigation told CBC News the victim was stabbed six times with a large steak knife, and that police have obtained cellphone videos of the incident that were recorded by witnesses. The victim was also known to police and had been shot previously, the source said. After the victim suffered multiple stab wounds on the lower level of the mall, he began walking but quickly collapsed.